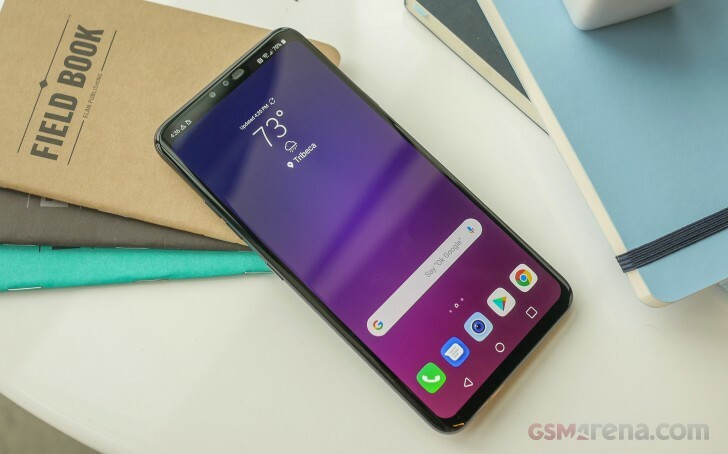 Looks-wise, the V40 ThinQ is pretty much a V30 (ThinQ or otherwise) with an extra camera both front and back and a notch on the display even if that's us oversimplifying things a bit. Sure, the camera arrangement is horizontal now, but even so, the family ties are apparent. The trio of cameras under a shared glass window looks reasonable - Samsung, for one, is still struggling to make its dual-cam setups remotely appealing, though admittedly there's a bunch of extra sensors there plus a flash. 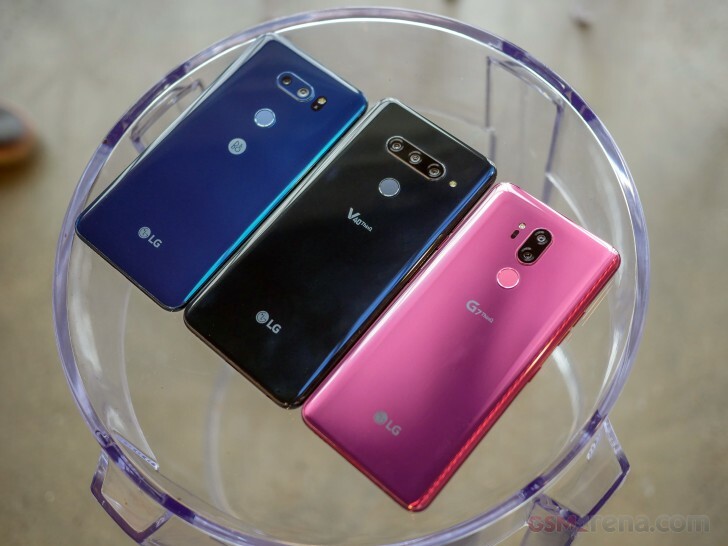 Well, LG didn't find room for the V40's flash, so it's outside of the cam island. 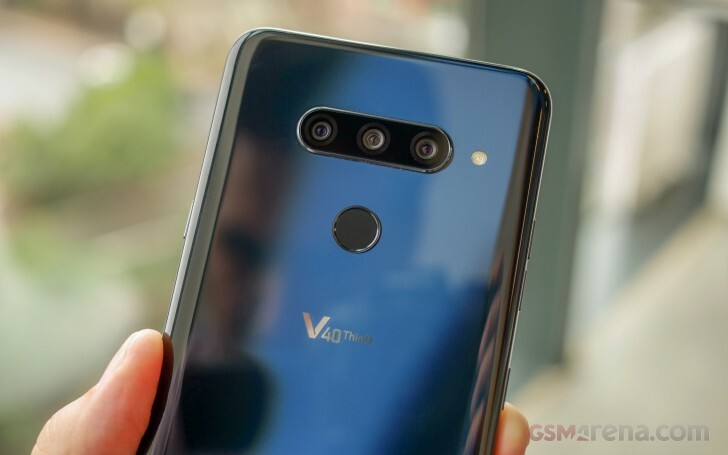 Even so, we don't feel it's quite the eyesore that the V30's flash/laser focusing peek hole was. 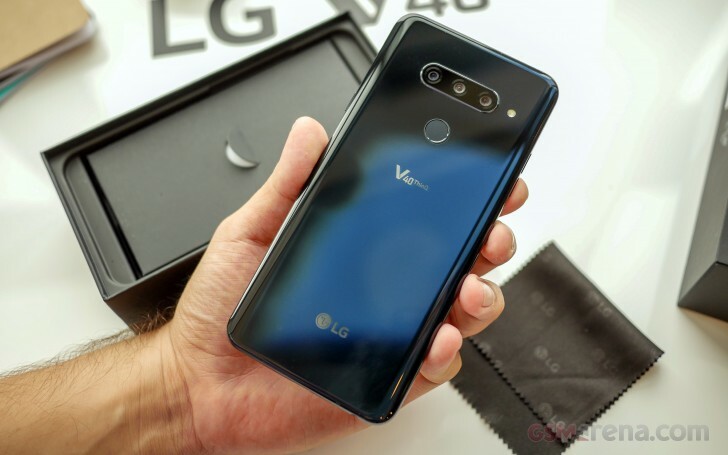 The fingerprint sensor is the usual circle below the cameras, a position LG has stuck with one way or another since the introduction of the biometric recognition on the V10 a few generations ago. And why change it - it works. Pretty much the same goes for the glass back-metal frame build LG adopted with the G6. 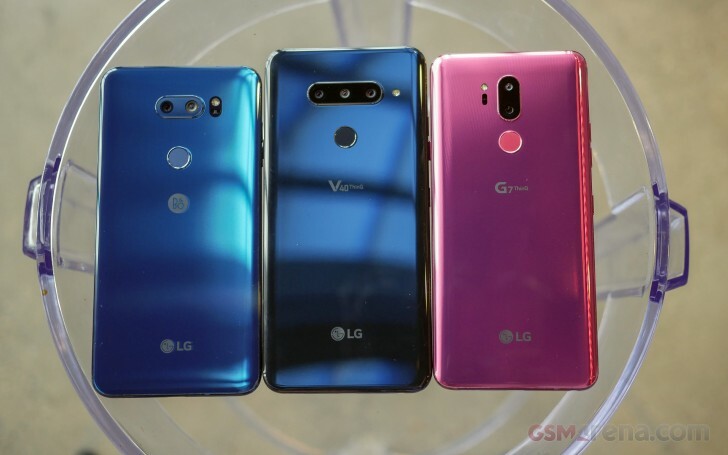 This model will come in Moroccan Blue and Aurora Black color schemes, but don't be surprised to see more eye-catching paintjobs like the Raspberry Rose on the G7 above (that's not to say we're not perpetually in love with the deep blue, new or old). The black one is stealthier, though it will produce a navy tinge under certain angles and light. About time we move over to the front where the 6.4-inch OLED display awaits. LG is using an OLED panel for this one, so no claims for outlandish brightness like we saw on the G7's RGBW LCD. Wait, where's the V40's notch, we hear you ask. It's there, but you can choose to hide it in settings (which we quite obviously did). 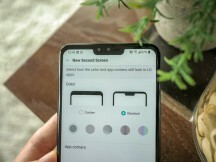 You can also tweak the radius to round off the corners and even accentuate the status bar with a rainbow effect - the G7 treated its notch the same way. 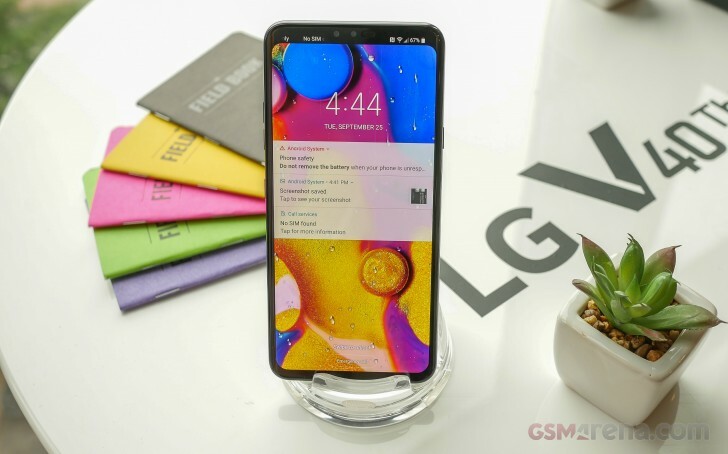 We keep calling it a notch, but LG likes the 'Second screen' name - to remind us that it was in fact LG that first filled the top bezel with screen on the V10 before it was cool. Looking back, it was pretty cool. Inside the notch, you'll find the two cameras, and... well... there's just something irksome about the off-axis earpiece. 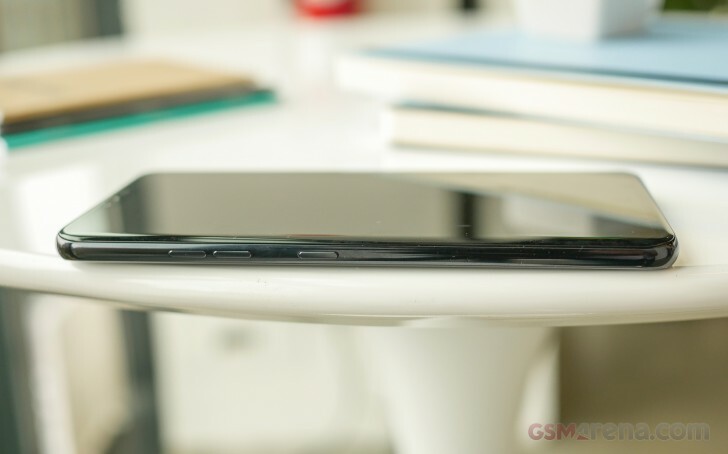 Revolting as the Pixel 3 XL's notch is going to be, judging by the numerous leaks, there's a case to be made for its symmetry, which the V40 ThinQ's notch lacks. 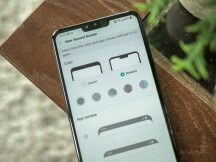 The V40 ThinQ, much like the G7, has a non-Bixby button on the left side. 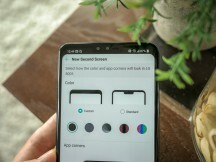 It's non-Bixby, because LG doesn't insist on forcing an in-house assistant on you but instead uses the hardware key for quick access to Google's native features - single press brings up your Google feed, a press-and-hold invokes the Google Assistant, and a double press starts Google Lens. The volume controls are above this extra button, while the power button is on the opposite side. 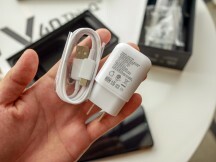 The V40 charges via the USB-C port on the bottom and comes bundled with a fast charger. 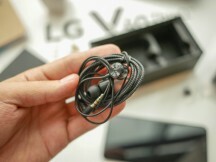 Another thing you'll find in the box is a pair of wired earbuds that connect via a standard 3.5mm plug - because the V40 still has the headphone jack. 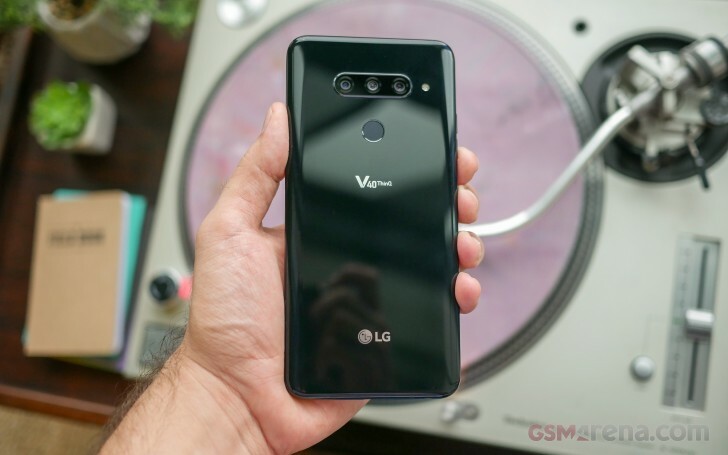 At just 169g, the LG V40 ThinQ would be a top choice for those that value portability - it's 32g lighter than the Galaxy Note9, and 20g less than the S9+. 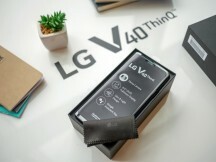 And don't even try to come up with competition for the V40 in the cameras per gram metric.